I find myself grasping onto and savoring each precious moment that we have spent together. I replay them in my mind over and over. The fun times, the laughs and of course the tears that seem to burst forth at unexpected moments. I wish time could stand still for a moment longer. It will be her time to shine! Such a beautiful tribute. You are wise to hold on but there is so much joy to come in this next season as well. Thank you for sharing with us. Hi Sheila, You really captured your daughters natural beauty with your photograph, she is gorgeous! I also love the papers and colors you used and your journaling brought back the happy-sad memories of when our daughter went to live on campus her first year in university. Congratulations to her! 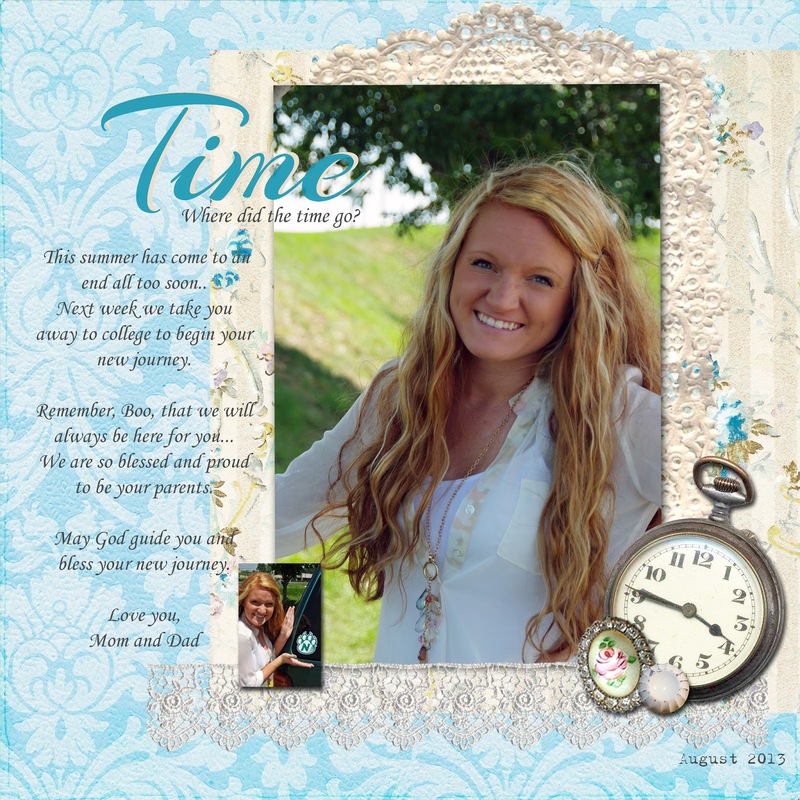 such a beautiful layout for such a beautiful young lady. good luck to all of you. it's hard but she will shine and that will make you happy she is there. The letting go is the hardest part, isn't it, Mama?? But she's about to start a grand new adventure and she will surely SPaRKLe & SHiNe!! And you will have beautiful moments to share & new memories to treasure:) Love the layout...love that girl more! Hugs & kisses to you both.